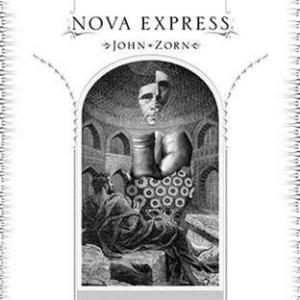 With every new John Zorn release you never know what to expect from it. Last year (2010) was extremely productive for John with more than 10 albums released by him or related projects.Covering wide range of genres, Zorn's some last year's works almost all are of great quality. First some months of 2011 weren't so fruitful for Zorn, so I really waited for this album trying to expect what kind of music will be presented on his new release. So - here it is,new Zorn's album with 10 Zorn's composed almost neo-classical compositions on it played by excellent modern jazz quartet. As often Zorn doesn't play on the album himself, but all musicians are his old collaborators and highest class NY downtown artists,including pianist John Medeski (of MM & W), bassist Trevor Dunn (Mr.Bungle, Secret Chiefs 3 and Fantômas between others), Kenny Wollesen on vibes (John Patton, Rickie Lee Jones,Bill Frisell, Bar Kokhba,etc)and drummer Joey Baron ( Bill Frisell, Stan Getz, Steve Kuhn,etc). Musically Zorn returns to modern composition, combining well structured pre-composed complex neo-classical avant-garde pieces with crafty but limited jazzy improvisation. Rhythm section is excellent but piano and vibes both are obviously leading instruments. Quite unusually for Zorn's compositions in general music there on this album isn't noisy or chaotic at all,but reminds the sound of cleverly engineered and perfectly assembled expensive German car's engine. Or Frankfurt airport's sterile huge half-empty waiting halls with lot of lights. Fortunately, there are some warmer tunes and some improvs here and there,and these small attributes make the music much more attractive. Everyone familiar with Zorn's music knows he is far not only great musician and composer, he is great manager and constructor and he perfectly knows how to mix his every next new brew. Possibly not the album for fans of Zorn's noisy free-jazz madness or melancholic and almost dance-able klezmer-jazz's beauty, but really good work for modern avant-garde flavored third stream.